Dorothy Day was a writer and editor who founded the Catholic Worker, a penny newspaper that grew into a voice for the poor during the Great Depression. As the driving force in what became a movement, Day's unwavering advocacy for charity and pacifism made her controversial at times. Yet her work among the poorest of the poor also made her an admired example of a deeply spiritual person actively engaged in addressing society's problems. When Pope Francis addressed the U.S. Congress in September 2015, he focused much of his speech on four Americans he found particularly inspiring: Abraham Lincoln, Martin Luther King, Dorothy Day, and Thomas Merton. Day's name was no doubt unfamiliar to millions watching the Pope's speech on television. But his effusive praise of her indicated how influential her life's work with the Catholic Worker Movement was to the Pope's own thoughts about social justice. Born: November 8, 1897, New York City. Died: November 29, 1980, New York City. Founder of the Catholic Worker, a small newspaper published in the Depression which became a social movement. Named by Pope Francis in his 2015 speech to Congress as one of his four most admired Americans. Is widely expected to be declared a saint in the Catholic Church. During her lifetime, Day could seem out of step with mainstream Catholics in America. She operated at the fringe of organized Catholicism, never seeking permission or official endorsement for any of her projects. Day came late to the faith, converting to Catholicism as an adult in the 1920s. At the time of her conversion, she was an unmarried mother with a complicated past that included life as a bohemian writer in Greenwich Village, unhappy love affairs, and an abortion that rendered her emotionally devastated. A movement to have Dorothy Day canonized as a saint in the Catholic Church began in the 1990s. Day's own family members have said she would have scoffed at the idea. Yet it seems likely that she will one day be an officially recognized saint of the Catholic Church. Dorothy Day was born in Brooklyn, New York, on November 8, 1897. She was the third of five children born to John and Grace Day. Her father was a journalist who bounced from job to job, which kept the family moving between New York City neighborhoods and then onward to other cities. When her father was offered a job in San Francisco in 1903, the Days moved westward. Economic disruption caused by the San Francisco earthquake three years later cost her father his job, and the family moved on to Chicago. By the age of 17, Dorothy had already completed two years of study at the University of Illinois. But she abandoned her education in 1916 when she and her family moved back to New York City. In New York, she began writing articles for socialist newspapers. With her modest earnings, she moved into a small apartment on the Lower East Side. She became fascinated by the vibrant yet difficult lives of impoverished immigrant communities, and Day became an obsessive walker, ferreting out stories in the city's poorest neighborhoods. She was hired as a reporter by the New York Call, a socialist newspaper, and began contributing articles to a revolutionary magazine, The Masses. As America entered World War I and a patriotic wave swept the country, Day found herself immersed in a life filled with politically radical, or simply offbeat, characters in Greenwich Village. She became a Village resident, living in a succession of cheap apartments and spending time in tearooms and saloons frequented by writers, painters, actors, and political activists. Day began a platonic friendship with playwright Eugene O'Neill, and for a period during World War I, she entered a training program to become a nurse. After leaving the nursing program at the war's end, she became romantically involved with a journalist, Lionel Moise. Her affair with Moise ended after she had an abortion, an experience that sent her into a period of depression and intense inner turmoil. She met Forster Batterham through literary friends in New York and began living with him in a rustic cabin near the beach on Staten Island (which, in the early 1920s, was still rural). They had a daughter, Tamar, and after the birth of her child Day began to feel a sense of religious awakening. Though neither Day or Batterham were Catholic, Day took Tamar to a Catholic church on Staten Island and had the child baptized. The relationship with Batterham became difficult and the two often separated. Day, who had published a novel based on her Greenwich Village years, was able to purchase a modest cottage on Staten Island and she created a life for herself and Tamar. To escape the winter weather along the Staten Island shore, Day and her daughter would live in sublet apartments in Greenwich Village during the coldest months. On December 27, 1927, Day took a life-changing step by riding a ferry back to Staten Island, visiting the Catholic church she knew, and having herself baptized. She later said she felt no great joy in the action, but rather regarded it as something she had to do. Day continued writing and taking jobs as a researcher for publishers. A play she had written hadn't been produced, but somehow came to the attention of a Hollywood movie studio, which offered her a writing contract. In 1929 she and Tamar took a train to California, where she joined the staff of Pathé Studios. Day's Hollywood career was short. She found the studio not terribly interested in her contributions. And when the stock market crash in October 1929 hit the movie industry hard, her contract was not renewed. In a car she had purchased with her studio earnings, she and Tamar relocated to Mexico City. She returned to New York the following year. And after a trip to Florida to visit her parents, she and Tamar settled in a small apartment on 15th Street, not far from Union Square, where sidewalk speakers advocated solutions to the misery of the Great Depression. In December 1932 Day, returning to journalism, traveled to Washington, D.C. to cover a march against hunger for Catholic publications. While in Washington she visited the National Shrine of the Immaculate Conception on December 8, the Catholic Feast Day of the Immaculate Conception. She later recalled she had been losing her faith in the Catholic Church over its apparent indifference to the poor. Yet as she prayed at the shrine she began to sense a purpose to her life. After returning to New York City, an eccentric character turned up in Day's life, someone she regarded as a teacher who may have been sent by the Virgin Mary. Peter Maurin was a French immigrant who worked as a laborer in America though he had taught at schools run by the Christian Brothers in France. He was a frequent speaker in Union Square, where he would advocate novel, if not radical, solutions for society's ills. Maurin sought out Dorothy Day after reading some of her articles about social justice. They began spending time together, talking and arguing. Maurin suggested Day should start her own newspaper. She said she had doubts about finding the money to get a paper printed, but Maurin encouraged her, saying they needed to have faith that the funds would appear. Within months, they did manage to raise enough money to print their newspaper. On May 1, 1933, a gigantic May Day demonstration was held at Union Square in New York. Day, Maurin, and a group of friends hawked the first copies of the Catholic Worker. The four-page newspaper cost a penny. The New York Times described the crowd in Union Square that day as being filled with communists, socialists, and assorted other radicals. The newspaper noted the presence of banners denouncing sweatshops, Hitler, and the Scottsboro case. In that setting, a newspaper focused on helping the poor and achieving social justice was a hit. Every copy sold. "For those who are sitting on park benches in the warm spring sunlight. "For those who are huddling in shelters trying to escape the rain. "For those who are walking the streets in the all but futile search for work. "For those who think that there is no hope for the future, no recognition of their plight — this little paper is addressed. "It is printed to call their attention to the fact that the Catholic Church has a social program — to let them know that there are men of God who are working not only for their spiritual, but for their material welfare." The success of the newspaper continued. In a lively and informal office, Day, Maurin, and what became a regular cast of dedicated souls labored to produce an issue every month. Within a few years, the circulation reached 100,000, with copies being mailed to all regions of America. Dorothy Day wrote a column in each issue, and her contributions continued for nearly 50 years, until her death in 1980. The archive of her columns represents a remarkable view of modern American history, as she began commenting on the plight of the poor in the Depression and moved on to the violence of the world at war, the Cold War, and protests of the 1960s. Beginning with her youthful writings for socialist newspapers, Dorothy Day was often been out of step with mainstream America. She was arrested for the first time in 1917, while picketing the White House with suffragists demanding that women have the right to vote. In prison, at the age of 20, she was beaten by the police, and the experience made her even more sympathetic to the oppressed and powerless in society. Within years of its 1933 founding as a small newspaper, the Catholic Worker evolved into being a social movement. Again with Peter Maurin's influence, Day and her supporters opened soup kitchens in New York City. The feeding of the poor continued for years, and the Catholic Worker also opened "houses of hospitality" offering places to stay for the homeless. For years the Catholic Worker also operated a communal farm near Easton, Pennsylvania. Besides writing for the Catholic Worker newspaper, Day traveled extensively, giving talks on social justice and meeting activists, both inside and outside the Catholic Church. She was at times suspected of holding subversive political views, but in a sense she operated outside of politics. When followers of the Catholic Worker Movement refused to participate in Cold War fallout shelter drills, Day and others were arrested. She was later arrested while protesting with union farm workers in California. She remained active until her death, in her room at a Catholic Worker residence in New York City, on November 29, 1980. She was buried on Staten Island, near the site of her conversion. 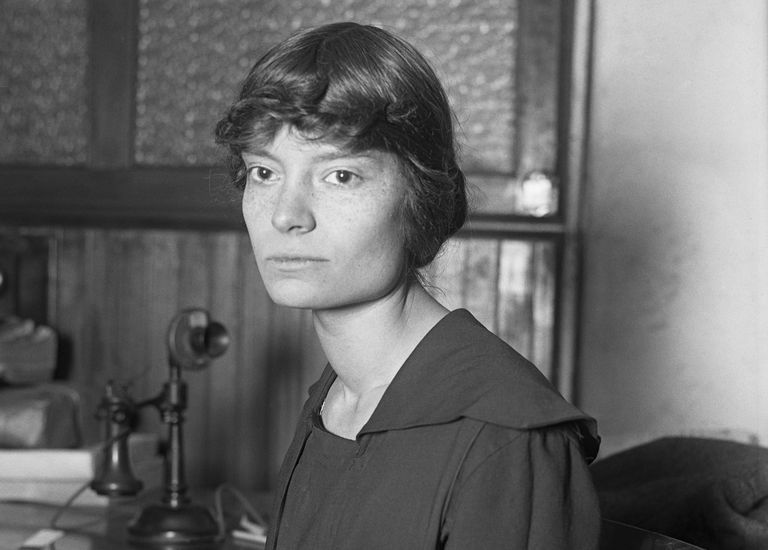 In the decades since her death, the influence of Dorothy Day has grown. A number of books have been written about her, and several anthologies of her writings have been published. The Catholic Worker community continues to flourish, and the newspaper which first sold for a penny in Union Square still publishes seven times a year in a print edition. An extensive archive, including all of Dorothy Day's columns is available for free online. More than 200 Catholic Worker communities exist in the United States and other countries. "In these times when social concerns are so important, I cannot fail to mention the Servant of God Dorothy Day, who founded the Catholic Worker Movement. Her social activism, her passion for justice and for the cause of the oppressed, were inspired by the Gospel, her faith, and the example of the saints." "A nation can be considered great when it defends liberty as Lincoln did, when it fosters a culture which enables people to 'dream' of full rights for all their brothers and sisters, as Martin Luther King sought to do; when it strives for justice and the cause of the oppressed, as Dorothy Day did by her tireless work, the fruit of a faith which becomes dialogue and sows peace in the contemplative style of Thomas Merton." With the leaders of the Catholic Church praising her work, and others continually discovering her writings, the legacy of Dorothy Day, who found her purpose editing a penny newspaper for the poor, seems assured. Are You a Fatima Prophecy Skeptic?